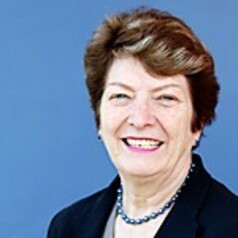 Mary Crawford has had a long career in Education. She was a high school teacher for 20 years during which time she taught in Australia, UK and Cyprus. Child Care and established the Child Care Accreditation Council. She was instrumental in ensuring child care centres became part of tertiary institutions in Australia on University and TAFE campuses. She was also responsible for the noted ‘Sticks and Stones’ Report which examined violence in schools and sought to establish a National policy. Her work also led to the implementation of the National JET (Jobs, Education, and Training) scheme for women re-entering the workforce and she developed and implemented the first ‘women only ‘Job clubs in Australia. These gave individual case workers for women entering or re/entering the workforce. taught for QUT in China in Suzhou and Hong Kong. Mary was awarded her PhD in 2008 for work on ‘Gender and the Australian Parliament’ where she explored the way in which the Australian parliament is gendered as male but much of its processes and practices remain hidden. Her further research explores the way in which the gendering of organisations can impact on the way in which policies are developed and implemented and hence create barriers for women. Another field she is analysing is the barriers women experience when trying to return to the workforce when they have been away from it for some time. Her commitment to women and education is reflected in her volunteer work – as Queensland President of Graduate Women Qld which gives bursaries to both postgraduate and graduate women. She is also a member of the Board for the National Foundation for Australian Women which seeks to advance public policy to enhance women’s lives.